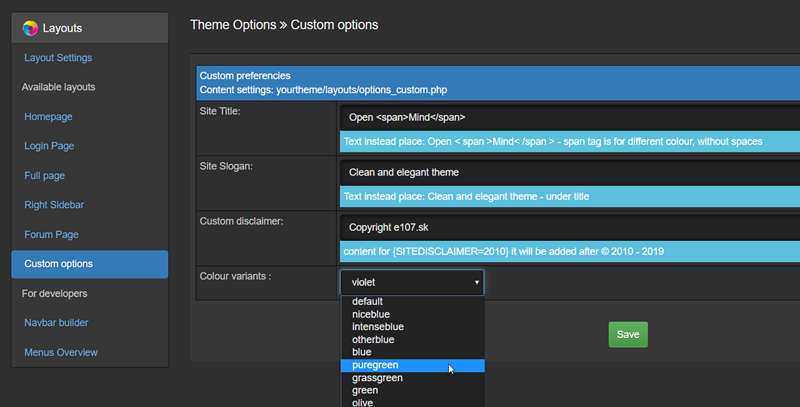 The theme has available the same colour sets as HTML theme. - here you can change site header too. It has nothing with site title in preferences (title tag). It's just coloured title in theme header. - here you can change copyright too. Theme has by default 2 types of footer. In both theme shortcode is used. If the year parameter is the same as the actual year, only the actual year is displayed. Next year from - to is added without any change.